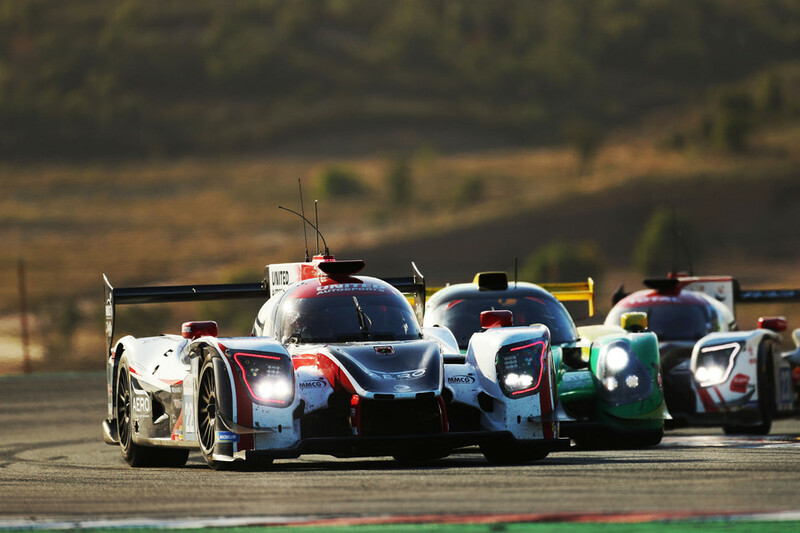 "The Four Hours of Portimão was my hardest, near quadruple stint I’ve ever completed but the reward of winning made it feel very sweet – more so than our Spa win due to the race being stopped early in Belgium. It was a case of really pushing the boundaries in terms of how long I’d be in the car and I remember asking my engineer Gautier ‘how long is there to go?’ at times. A Full Course Yellow caution period brought my intended four stints to a premature end. Nevertheless I’d spent over three hours in the car taking into account going to the grid and the start procedure. We’d tested there on the previous Wednesday so went into practice with a good, initial base set-up. We fine-tuned the Ligier in both Free Practice sessions on Friday and Saturday morning and I was really confident that a top result could be achievable. The car felt really nice to drive. Filipe qualified in P3 which, despite it being a four-hour race, makes a huge difference. At the front of the field you’re in ‘clean’ air which doesn’t cause ‘damage’ to the front tyres while of course if you start mid-pack, you’re in the thick of things and may get tagged, hit, spun around, or anything. The Algarve International Circuit is less than three-miles long and with a 39-car field comprising of three classes, traffic plays a big part in your lap times. In my first two stints, I just couldn’t get a break, always catching slower cars at exactly the wrong time on the circuit which at best lost me time to the leaders, or at worst, cost me a position or two. Tyre management played a big part in our race win and I was really concentrating on this aspect, often just taking on a single new tyre at my pit-stops. I really must say a massive ‘thank you’ to Filipe on this subject, not just concerning this race but all season in ELMS. Filipe has coached me on many elements including this specific subject, getting me into the right mentality of tyre ‘saving’ and not allowing myself to get frantic if I drop back from the leaders for example, just to hold the gap if possible, and stay calm knowing that our tyres are going to be in better shape than the guys later in the race. The opening laps at Portimão were a perfect example, the two leading cars in front of me in the opening laps were locking up everywhere in their tussle with each other, clouds of [tyre] smoke from them often appearing under braking. Looking back on the six-race ELMS season as a whole, we’ve had an up and down year, but have ended it on a massive high. Bruno [Senna] was my co-driver in the #22 Ligier at the opening race at Paul Ricard as Filipe had a prior commitment in the States. Bruno suffered an electronics glitch from the off in qualifying so I started from 17th but early on, suffered a left rear puncture after contact with another car. The contact also damaged the exhaust so we were down on power for the rest of the race. Remember what I was saying earlier about the benefits starting near the front . . . At Monza we recorded 10th place but in essence it was just one of those races. Filipe got penalised for contact with a LMP3 car which harmed neither car, but meant that we served a drive-through penalty. I still question that call [of the stewards] to this day when there were similar incidents going unpunished. On my side I was happy with my performance, I was leading at one point and until the end where a gamble on strategy and the drive-through meant we lost the progress we had been making up to the last hour. We finished fourth on the road at the Red Bull Ring but were promoted on to the podium following post-race checks with regards a car that finished ahead of us in the race. That was another race when our Ligier was ‘assaulted’, a GT Ferrari causing right rear damage as I lapped it. This race was also pretty tricky as it featured frequent light rain showers, affecting various parts of the track at times. At Silverstone, we struggled with grip, or lack of to be more precise, all weekend. In the race itself I had a tough start having to avoid an incident, I had to go off track, dropping me to the back. Because the car wasn’t so fast I had to work hard to climb up the order again. The race then ended for us when bizarrely a bit of rubber flew into the cockpit and set the fire extinguisher off, killing the engine automatically. I then couldn’t restart it as a precaution, so luckily it didn’t happen at high speed. Our qually performance also showed that we also now had very good dry weather pace. It’s worth noting that we started the season on Dunlop tyres and switched from the Spa race to Michelins and while the former are a great tyre and had served United really well in the past, it was our opinion that the Michelin rubber better suited the aero of our current Ligier. Finishing off the ELMS season with two wins is fantastic. Richard [Dean], the Team Owner and Managing Director, at United Autosports, Trevor [Foster], United’s F2 Team Manager, the #22 car’s engineer Gautier, everyone at United, Onroak and Ligier, have worked incredible hard this season, so it was great that Filipe and I could reward them with two ELMS wins on the bounce. These two wins are a great confidence boost for me heading in to the Asian Le Mans Series campaign which I’m eagerly looking forward to." 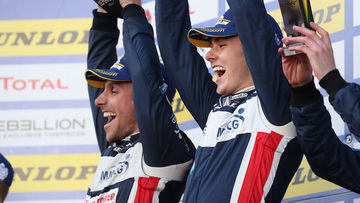 Richard [Dean], the Team Owner and Managing Director, at United Autosports, Trevor [Foster], United’s F2 Team Manager, the #22 car’s engineer Gautier, everyone at United, Onroak and Ligier, have worked incredible hard this season, so it was great that Filipe and I could reward them with two ELMS wins on the bounce. These two wins are a great confidence boost for me heading in to the Asian Le Mans Series campaign which I’m eagerly looking forward to.